Vitamin C is a vital vitamin, but too much of it can prove harmful to kids. Any children’s therapeutic diet that contains extreme doses of vitamin C puts up a red flag, as do the tablets themselves. Some bright-orange vitamin C chewable tablets are not only an appealing color, but they appear similar to and can taste somewhat like candy. Vitamin C, also known as ascorbic acid, provides a number of essential functions, Healthy Children and Love to Know note. The vitamin is vital for strong bones, teeth, muscle, blood vessels, skin and the connective tissue collagen. 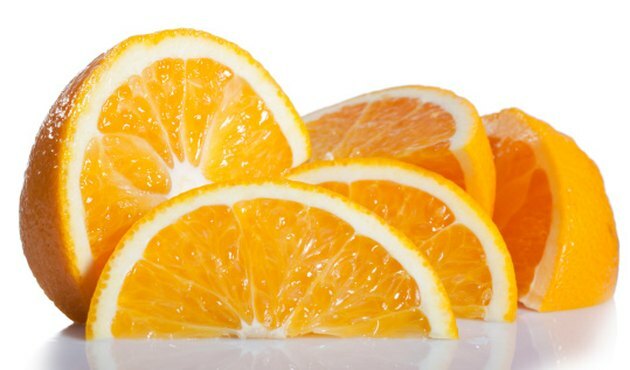 Vitamin C boosts your resistance to infection, brain function and your body’s ability to heal itself when wounded. Most kids, and adults, get the amount of vitamin C they need through their regular diet. Children who consume too much vitamin C are at risk for harmful side effects, Mayo Clinic notes. These include vomiting, nausea and diarrhea as well as a stomach ache or cramps. Rashes, insomnia, heartburn, headaches and even kidney stones are other potential side effects. While adults can safely consume up to 2,000 mg of vitamin C per day, the recommended daily dose for kids is considerably lower, Love to Know points out. A scant 15 to 45 mg of vitamin C per day fulfills the recommended daily dose for children through age 13, while those age 14 to 18 can up their take to 65 to 75 mg per day. Pregnant women need at least 85 mg per day to help ensure the healthy development of their baby, and women who are breastfeeding should ideally consume 120 mg of vitamin C daily. Human milk has a natural supply of vitamin C, Healthy Children adds, so the breastfeeding baby automatically gets the dose she needs. All fruits contain vitamin C, with the highest doses in citrus, as do a number of vegetables, Healthy Children and Love to Know point out. Some of the best sources include broccoli, strawberries and Brussels sprouts, but the list doesn’t stop there. Vitamin C abounds in cantaloupe, honeydew, kiwi, grapefruit juice, red peppers, spinach, guava, tomatoes and potatoes. Some of the foods are so packed with vitamin C, they fulfill your kid’s recommended daily dose of the vitamin in a single serving of 1 cup or less. Because most kids get the amount of vitamin C and other essential vitamins and minerals they need through their regular diet, Healthy Children says to use extreme caution if you give your children any vitamin supplements. The only exceptions are usually only for kids with extremely picky or poor eating habits or when a doctor recommends a supplement. Megadoses of vitamin C carry an additional risk for kids with certain medical conditions, such as hemochromatosis or sickle-cell anemia, Love to Know warns. Mayo Clinic: Too much vitamin C--Harmful?